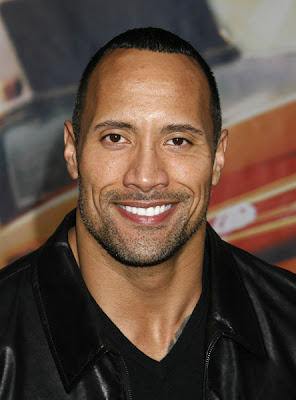 The Black Hollywood File: THE ROCK NEGOTIATING TO BE "FASTER"
THE ROCK NEGOTIATING TO BE "FASTER"
CBS Films is in final negotiations with Dwayne Johnson to star in "Faster," an action drama that will be Johnson's next film, according to Variety. The film will be helmed by Phil Joanou, who directed Johnson in "Gridiron Gang." While Johnson has recently been starring in family comedy hits, "Faster" puts him back into edgy action territory. He'll play an ex-con bent on avenging the death of his brother, murdered 10 years earlier when the two were double-crossed during a heist. Lensing is set to begin in August.